Waterline: 12 Designers, 12 Visions – Waterfront regeneration being one of our main interests, here is an interesting video summarizing the proposals of GSD students for the transformation of the South Branch of the Chicago River. 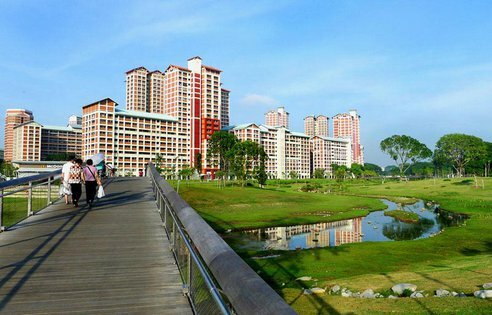 Rehaul of Popular Singapore Park Restores Urban River – More on river regeneration: Read about how one of Singapore’s most popular parks has been re-designed as a diverse natural ecosystem through the restoration of a 3-kilometer stretch of the Kallang River. Potterstraat, Utrecht – A charming and informative video on the history of transport in the center of Utrecht in the Netherlands, showing what was a through street for over 800 years and now closed to private motorized traffic as part of a bigger plan to create a more livable city. 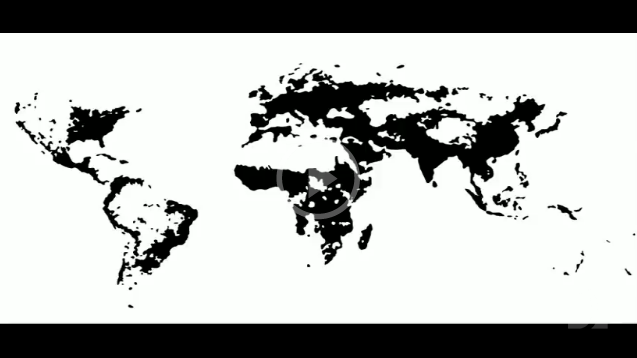 Ink Blob World Map Shows Humanity As Islands Adrift – For map lovers, this interactive map by Derek Watkins creates a blob-based view of the world shaped by population density, allowing you to see the most dense places on the planet, and how these areas relate to one another. Clockwork City – A city made up of rotating transportational discs? Not exactly a plausible idea for creating walkable cities, but it might make for a fun video game! As always, a great weekend to all!